Interior design made simple with this contemporary Anglo Oriental Daphne runner. Keep the contemporary look in your home with this indoor piece crafted from plush wool material. Make a lasting style statement with this hand-made rug. This contemporary green rug has a lovely floral plants pattern for an impressive look. 2 ft. 3 in. X 7 ft. 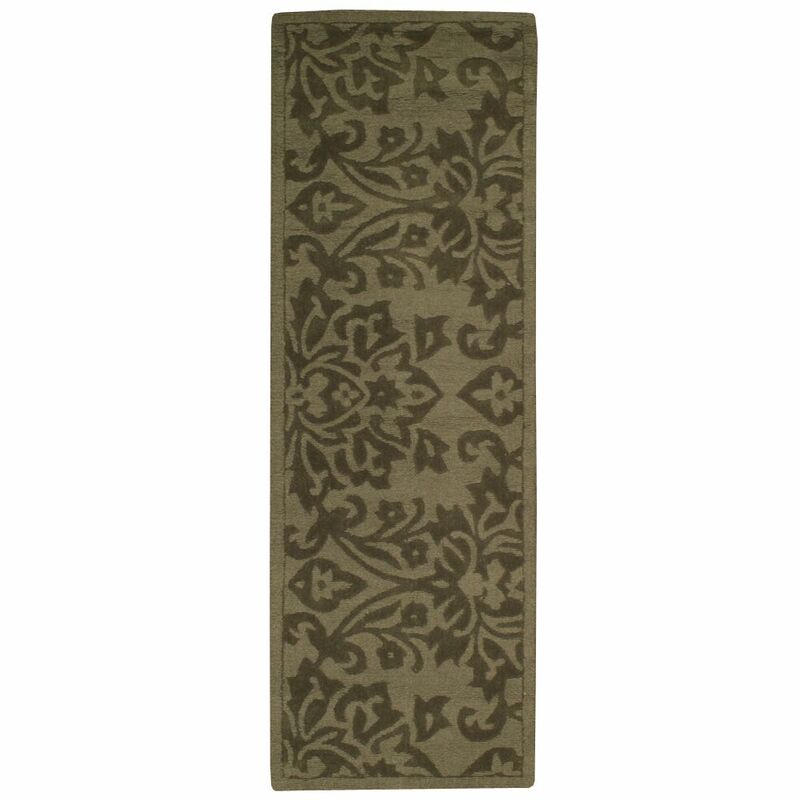 This Balta Us Elegant Embrace runner adds a touch of modern flair to the design of any area in your home. Bring this high quality plush synthetic indoor rug into your home to upgrade your interior design immensely. This machine-made rug makes long-term decorating easy. Quality comes first in this border patterned red rug. Safavieh's Lyndhurst collection offers the beauty and painstaking detail of traditional Persian and European styles with the ease of polypropylene. With a symphony of floral, vines and latticework detailing, these beautiful rugs bring warmth and life to the room of your choice. This is a great addition to your home whether in the country side or busy city. Daphne Green 2 ft. 3-inch x 7 ft. Indoor Contemporary Runner Interior design made simple with this contemporary Anglo Oriental Daphne runner. Keep the contemporary look in your home with this indoor piece crafted from plush wool material. Make a lasting style statement with this hand-made rug. This contemporary green rug has a lovely floral plants pattern for an impressive look.